Yesterday was Jamie Oliver’s Food Revolution Day around the world. 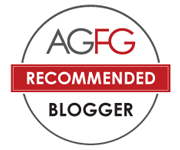 Jamie’s initiative has really helped a lot people to get educated on their food they consume on a daily base. It is a great program for us to understand the importance of the producing process of our food and hence we can take care more for our loved ones and ourselves. In Adelaide, the events for the day were held in Rundle Place with some good cooking demonstrations from 6pm. I guess by now many of us have got a chance to see the Rundle Place and its great chocolate statues. However, I especially like their decors for the food court, 77, which is funky with all the variations in colors and styles. On the Food Revolution Day, I went down to learn about all the great techniques in cooking while doing my wife’s regular Friday night shopping. Dinner was at the stall, Tea Lounge Yum Cha, at 77 in Rundle Place. I have been thinking for many years that Yum Cha places should learn from sushi stores to present in food courts to attract the public’s attention and the Tea Lounge did it! Look how many customers they are serving! Yum Cha, originally means drink tea in Cantonese, has become the national dish for Hongkong cuisine recognised in Western society. 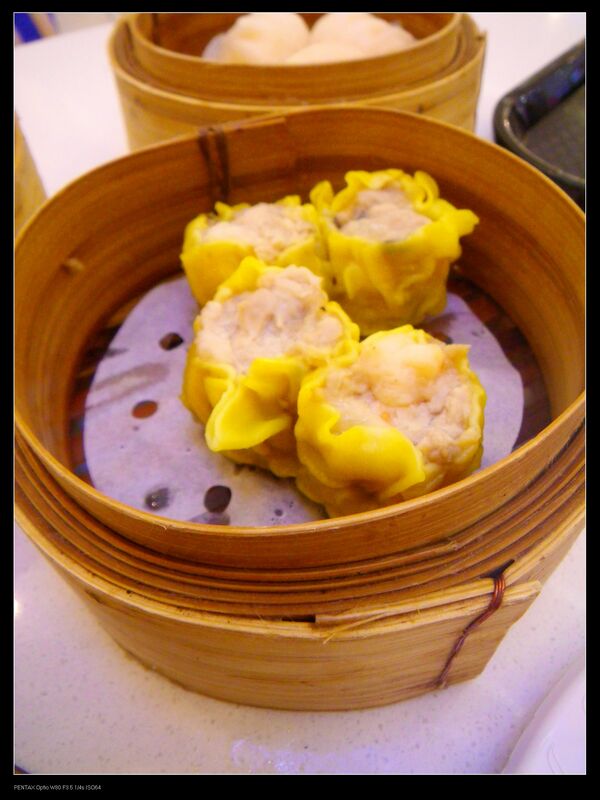 Having yum cha means to be served with lots of small specialty dishes, such as dim sims, while enjoying tea. The Tea Lounge serves 30 different yum cha dishes, with some being freshly made and some being served from their shelf. The serving people were nice, welcoming and very helpful in my decision to pick the dishes. Although most of the dishes were meat based, the place also serves vegetarian dishes. Beef Tripe, $4.80. The Chinese cuisine has got a long history in cooking and serving offals. The tripe were steamed with soy sauce and fermented black beans. The spiciness from the ingredients were fully promoted into the tripe and by steam, it has retained most of the moisture. The game taste of the tripe were fully covered by the spices too and hence they were fragrant and tasty. 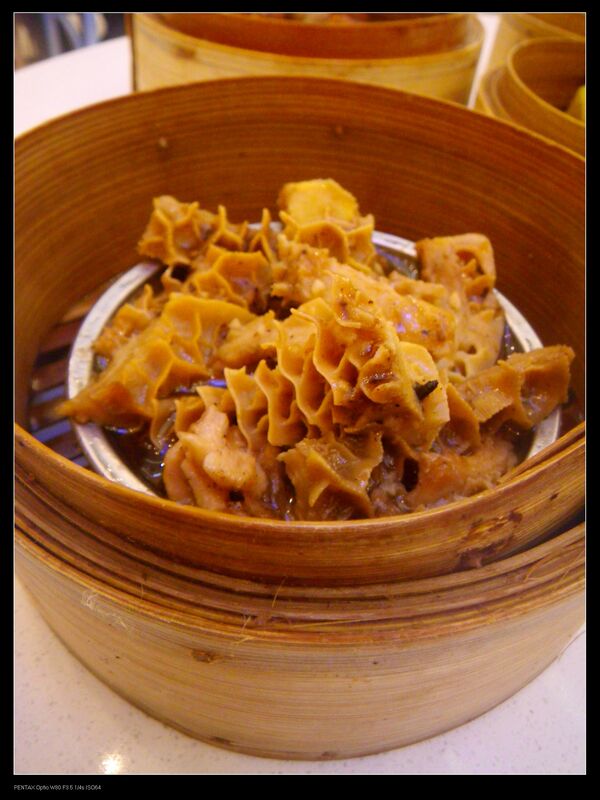 Although I don’t normally eat offals, this dish was one of the top tripe yum cha dish I ever had. Well done! Chicken feet, $4.80. Now this is another dish I liked for the dinner. I should admit that this was a good technique and creation in cooking what’s normally classified as wood waste. 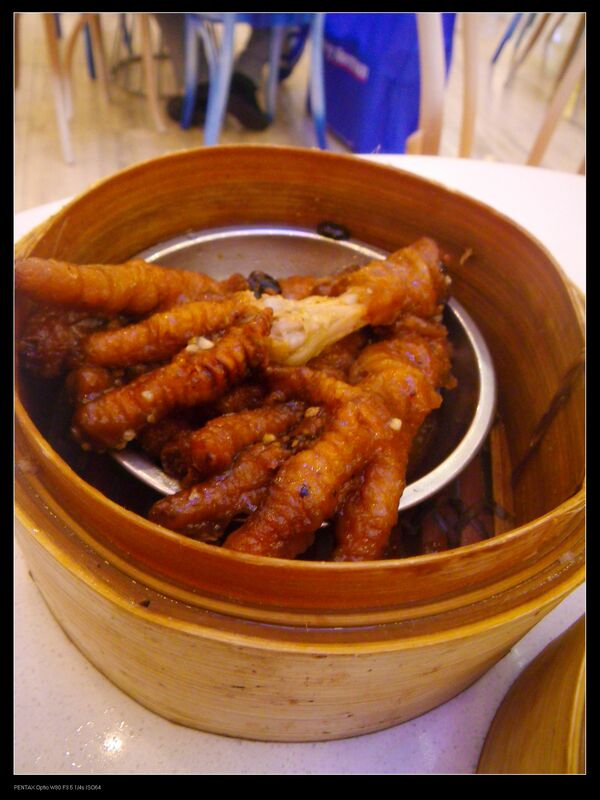 Chicken feet have got small amount of muscles and the rests were tendons. After being fried and steamed in the special sauce, the feet were full of flavours and the meat was so tender to flow down my throat. Recommended! 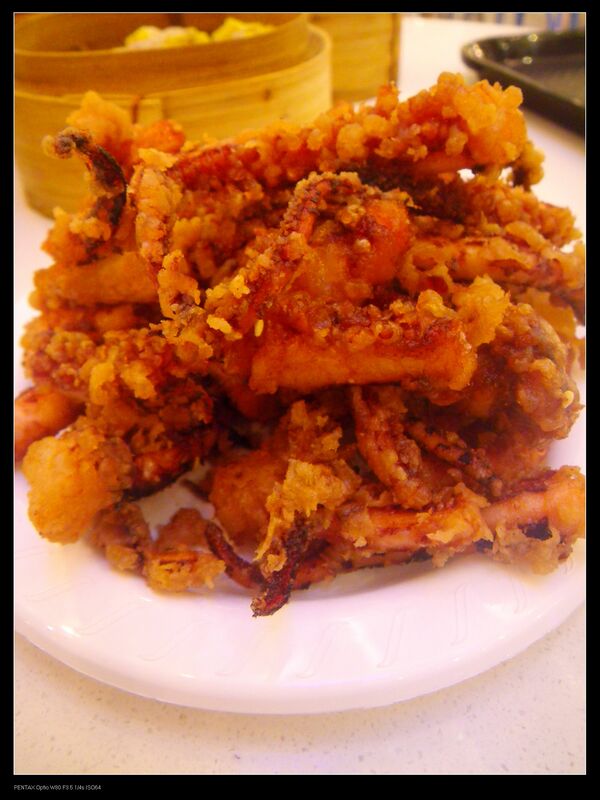 Deep fried salt n pepper squid, $6.90. The deep fried squid was so crispy and every bite was enjoyable. When I picked this dish, I didn’t know they gave heaps of squids. Anyway the con for the dish was the taste. There were tiny bit of squid flavour but there was not enough salt and pepper and this has made the dish being so bland in taste. I’d recommend the owner to add a bit more of salt for this dish. However, if you don’t mind having some chilli oils while having this dish, it can be quite good with the chilli flavour and the saltiness can remain at current level. Dim sim, $3.80. The dim sims were served hot while steaming. The meat filling was tasty but the whole egg pastry has fallen apart when picked up and I strongly believe it’s due to the overly long steaming on their stove. In fact, this stall has problems in producing good pastry, even with some freshly made dishes. Prawn Dumplings, $3.80. The flavour of this dish was okay with enough salt :P, but the prawns used were frozen, not fresh as a strong defrost aftertaste was detected. As you can see from the picture, the pastry has fallen apart without touching it. A good yum cha pastry should be tender with good stretch so that they would not be broken easily. 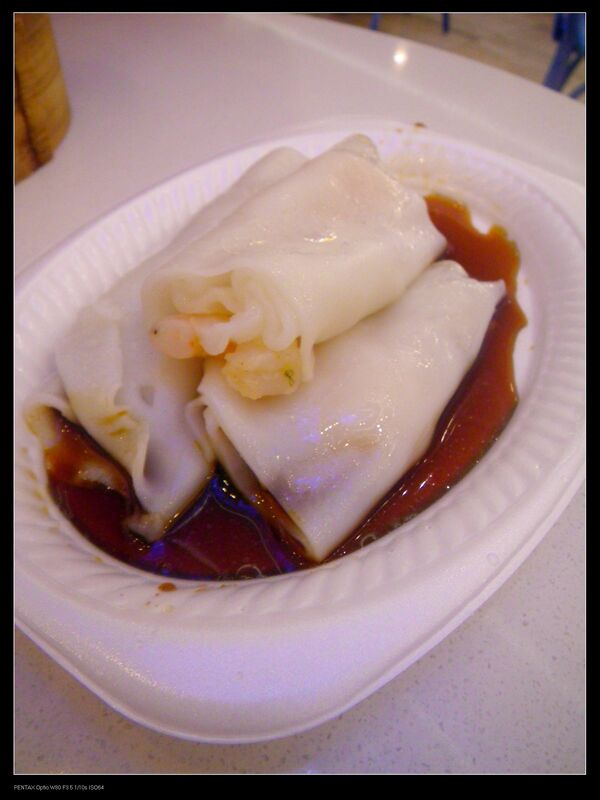 Prawn Rice Noodle Roll, $3.80. Prawn Rice Noodle Roll, $3.80. The place serves freshly made rice noodle rolls with either prawn or beef fillings. I picked the prawn ones accidentally. However, this was the most dissatisfying dish of the night. The prawn was again, as I suggested previously, frozen not fresh and the pastry was broken extremely easily so I had to have the small pieces of pastry and the filling separately. Normally with freshly made pastry, this is not the case. I think they should definitely work on their pastries. The yum cha dishes served at the Tea Lounge yum cha are quick food versions of fine dinning yum cha. While they serve very good and tasty chicken feet and beef tripe, their pastry dishes were not good, especially with the actual pastry. However, their chilli oil was quite good to go with dim sims and the bland salt n’ pepper squid. It is definitely a good place for a quick fix if you are desperate for yum cha, but I do recommend proper yum cha restaurants if diners expect to experience the real spirit and taste of the cuisine. I totally agree that this place should be your last resort option for yum cha. 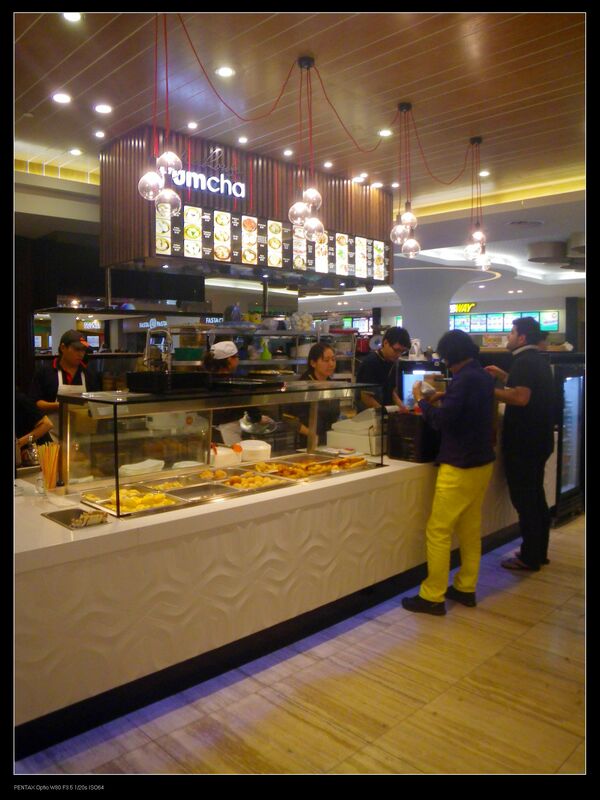 No bad for a food court joint, but not great when there are so many great yum cha restaurants near by. It’s only a 10 minute walk to Chinatown! I agree. It’s may be convenient for rundle mall shoppers for a quick fix but I’d definitely going to Chinatown for yum cha. How’s your study going? The study is going really well! Thanks for asking. It’s so wonderful to be doing something that I have an interest in. I look forward to going to Uni everyday. I haven’t felt like this for a very long time. You teach? That’s wonderful! What are you teaching? In re: to the job front, are you looking to stay in Adelaide or move interstate? I teach Chemistry in Adelaide uni and unisa on casual basis at the moment, but I am looking into r&d jobs anywhere, preferably in Adelaide but if there are good opportunities in other states, I may go. 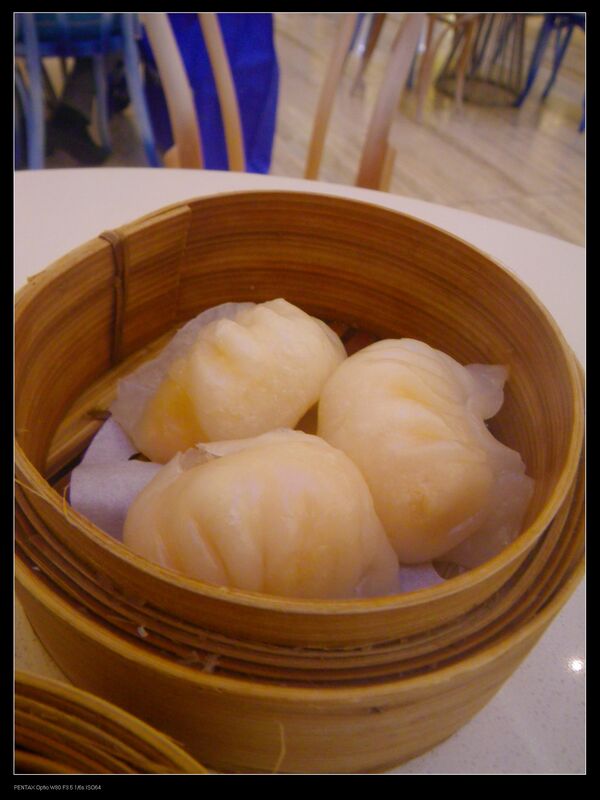 I’ve had my quick yum cha there for a couple of months and I think the dishes were divine! Sorry to hear that you didn’t quite like them. Obviously you didn’t like it but why wasting time to write it up? We are here to read the good things about Adelaide, mate. If I don’t write it up, then how can people know whether it is good or not. I guess restaurant reviews should not just be about what I like. It should really be talking about what I dislike as well.